Sky and RTÉ have signed a long term partnership agreement to increase the number of channels and ways in which RTÉ’s content can be accessed on Sky’s services in Ireland. Over the coming months, Sky subscribers in Ireland will gain access to the RTÉ Player via Sky on Demand. 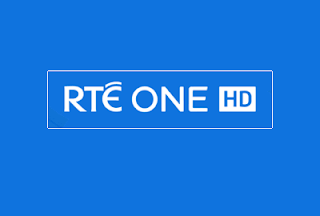 Additionally, RTÉ News Now, RTÉ One HD and RTÉ One+1 will be added to Sky's Irish channel line-up in the coming months. The agreement will also allow Sky to deliver RTÉ programmes via tablets, smart phones and other digital devices on the pay TV provider's mobile and online services. There's currently no indication whether or not the availability of RTÉ content in the UK will be enhanced by the deal, as recently speculated in the media. Currently, Northern Irish subscribers have access to two RTÉ TV channels, plus radio, but viewers in England, Scotland and Wales are only able to receive RTÉ Radio, which is broadcast free-to-air. Meanwhile, Sky's low cost streaming service NOW TV has confirmed that it is "actively working towards" making the service available in the Republic of Ireland in the "near future."